1. "Cancellation & Refund Policy"
Any participant coming to GMCKS Arhatic Yoga Ashram to attend the Yoga & Meditation events and wishes to cancel / get a refund, the following rules shall be applicable. A) Cancellations intimated to the Ashram, prior to start of the event, 100% of the total amount, after deducting the GST if applicable, shall be refunded and given to the participant. B) Cancellations intimated to the Ashram, after the start of the event, 100% of the total amount shall be forfeited and no refund shall be given to the participant. GMCKS Arhatic Yoga Ashram is moving towards becoming Environmental Friendly. We request all the participants arriving at the Ashram for visit, stay and for participating in the events, to please carry their own bottles & cups. Thank you for your kind co-operation and contribution in making GMCKS Ashram & this world a better place. We wish you all a blissful experience at the Ashram. 3. "Pranic Healing on TV"
We are happy to inform you that a new system has been introduced to register for events at the Ashram. All the registrations will be managed from the new portal for future events. To be able to register for events, you first need to create your profile. To be eligible to attend events at the Ashram, please make sure to complete your profile (personal details, courses attended, higher levels and certificates of all to be uploaded). Pranic Healing is an ancient science and art that utilizes prana or life energy to heal ailments in the body. Ancient cultures practiced similar modes of healing known as shamanic healing, divine healing, healing by mantra, among others. Pranic Healing benefits both the person receiving treatment and the Pranic Healer. The benefits are cumulative. Complementary to orthodox or western medical treatment. 1) Where is the Ashram ? 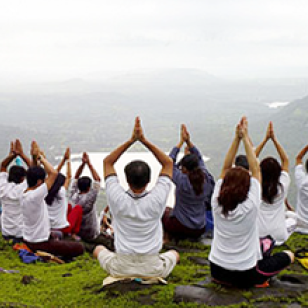 The MCKS Arhatic Yoga Ashram is situated at village Nive in Mulshi Taluka, District Pune. It is about 70 Kms from Pune City and about 220 Kms from Mumbai. 2) Which are the airports close to the Ashram? Pune airport is the closest airport. Mumbai domestic and International Airports can also be considered for reaching the Ashram. 3) Which are the railway stations close to the Ashram ? Pune Railway Station is the closest railway station. 4) What is the distance from Mumbai to the Ashram? Mumbai to the Ashram is a distance of about 220 Kms. Visitors may travel along the Mumbai-Pune Express highway and reach Chandni Chowk in Kothrud area. From here one has to turn towards the Ashram and go a further 55 Kms. 5) What is the distance from Pune to the Ashram? From Pune to the Ashram, the distance is 70 Kms. The visitors will have to follow Paud Road and pass through Pirangut, Paud and go towards Mulshi. After reaching Mulshi, the road passes thru Tamhini village and reaches Nive Village. Immediately after Nive village, the road branches out and the branch leads to the Ashram. The Ashram is just one kilometer from this diversion. 6) What are taxi charges for drop from Mumbai to Ashram? The present taxi charges from Mumbai to Ashram are Rs.3500 for one way drop. The charges include toll charges and the charges are payable to the taxi driver on reaching the Ashram. Similar charge of Rs.3500 is applicable for the return trip. The charges may be shared among the visitors sharing the taxi and about 4-5 persons can travel in a taxi. 7) What are the taxi charges for drop from Pune to Ashram? The present taxi charges from Pune to Ashram are Rs.1800 for one way drop. The charges include toll charges and the same have to be paid to the driver on reaching the Ashram. The charges may be shared among the visitors sharing the taxi and about 4-5 persons can travel in a taxi. Can a taxi be arranged to travel to the Ashram from Mumbai/Pune? Taxis can be arranged by the Ashram on request being sent to the Ashram on gmail . The details that are required for booking the taxi are – name/s of the visitor/s, date & time off arrival, mode of travel, train/flight number and the carrier. Mobile number of at least one person in the group is required to facilitate communicating the vehicle details. Taxis should be booked at least two days before the arrival. The monsoon is from June to September and the rains may be heavy. October, November can be warm followed by winter months Decemeber, January. From February onwards the summer sets in and it will be warm. Can our mobiles work at the Ashram? 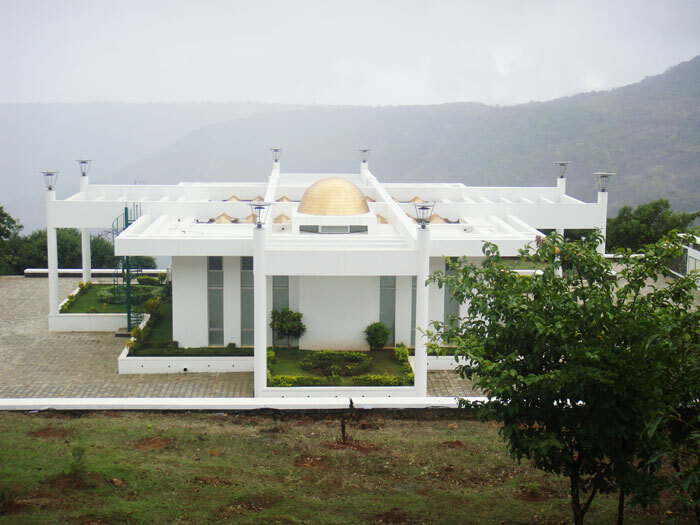 The Ashram is situated between a mountain and a valley and only some mobiles work at the Ashram in limited areas. Does the Ashram have Internet and can the guests use the same? The Ashram does have Internet facility but at the moment the Ashram faces a problem of connectivity. The guests may use the Internet in case of very important work only. The guests should use this service to the minimum. Does the Ashram have meditation CDs, sound system or does one have to bring them? The Ashram has CDs for the meditations required for the Arhatic Practitioners. The Ashram also has a sound system for use in the meditation Halls. Does the Ashram have an OHP/LCD projector, laptop for presentation? The Administrative Building provides a classroom in which OHP/LCD projectors are available. Laptop computer is also available and the Arhatic Yogis may bring their presentation on back up devices. Are there chairs available in meditation halls or does one have to sit on the floor? Chairs are available for use in both the meditation halls as well as all the other places such as dining hall, administration office, units. Sitting on floor is optional and not compulsory. Do I carry mineral water for drinking purposes? Mineral water is provided for drinking purposes and jars of 20 litres are provided in individual units, meditation halls etc. The guests need not bring their own mineral water. Does the Ashram provide bed and linen? What is the type of food served in the Ashram? The Ashram provides vegetarian food only. Breakfast consists of bread butter with jam, corn flakes, snacks such as Idli, Wada, Poha etc and is as per a schedule. Tea and coffee vending machines are provided in the dining hall and administrative building. The lunch and dinner consists of rice, chapattis, dal, vegetable, salad. Chinese is also served at times consisting of noodles, veg fried rice, veg Manchurian and at times the kitchen also provides pasta. The food is non spicy and simple but rich in nutritious value and sumptious. It is simple and enjoyable by all. Is there a necessities shoppe at the Ashram for urgent requirements? At the moment, there is no shop in or around the Ashram. Urgent necessities can be obtained from the Admin Office. In case the items are not available, they will have to be procured during the next visit to Pune for purchases. Where can I change my money to Indian Rupees? Can the Ashram arrange the same? The Ashram does not have any money changing facility. In case the same is required, the Admin staff will assist in getting the money exchanged from Pune during their regular visits. How do I make the payment for the stay and board etc? All payments for stay, board have to be made in cash. At par cheques of Indian Banks are accepted. No cheques on banks outside India are permissible. Similarly the Ashram cannot accept donations from foreigners or any other person giving an address outside India. Can one make payment via credit card? Payments via credit card are not acceptable. Can one make payment by cheque? Cheques can be made in favor of “Arhatic Yoga Ashram Management Trust” and should be on any bank in India. In what name should the draft be made? The cheque / draft has to be made in the name “Arhatic Yoga Ashram Management Trust” and should be payable at Pune. Can one make payment in cash at the Ashram? We encourage the guests to make their payments by cheque/DD in advance along with the registration for the event. Additional payments can be made at the Ashram in cash. The Ashram provides a receipt for the payment made. Are donations to the Ashram exempted under IT Act? Donations to the Ashram are exempted under Section 80G of Income Tax Act, 1961 and the exemption is renewed by the Income Tax department every three years. The present registration is valid until 31.3.2012. Is there a laundry facility at the Ashram? Laundry facility is offered to the guests and the Ashram requires at least two-three days for washing and ironing. The guest should avail of the facility provided there is sufficient time for his departure. What does one need to carry for short duration – a week, fortnight, month … ? It is better to travel light. You may bring your towels, suitable clothes considering the time of the year. During rainy season(June to August), guests may bring their rain clothes, rain shoes etc. Apart from this the normal clothes may be brought. The clothes should be light colored and should not be revealing in any form. Plunging necklines, sleeveless clothes may not be included and the participants need to follow the dress code at the Ashram. Does the Ashram conduct all the courses specified for Pranic Healing and Arhatic Yoga? The Ashram conducts only those courses which are allotted by the Acharyas and all the courses are not conducted at the Ashram. Normally the preliminary Basic courses are not conducted at the Ashram. 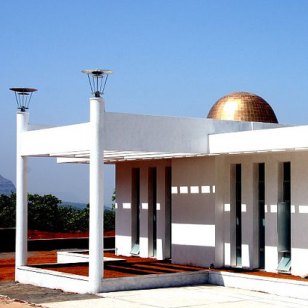 The Ashram is a spiritual resort for intensive practice, higher courses, study and meditations. What is daily schedule at the Ashram? The daily Ashram consists of meditations in the morning, book studies & discussions in the afternoon, walk in the evening and special sessions planned by the Acharyas. The Arhatic meditations are conducted as per a fixed schedule and the participants are expected to follow the schedule at the Ashram. Does the Ashram have a library? What books are there are there in the library? The Ashram has a library. All the books written by GMCKS are available. In addition, the library carries books on Theosophy, Yoga written by renowned authors. Who can visit the Ashram? Who are allowed to stay at the Ashram? All pranic healers and Arhatic practitioners can visit the Ashram. Prior permission of the management for a visit to the Ashram. Only Arhatic practitioners are allowed to stay at the Ashram. Are children allowed at the Ashram? Children under 16 years are not allowed at the Ashram as per the Grandmaster’s instructions. How does one register for an event? Right to admission is reserved by the management. Interested persons may write a mail to.... and procure the details of the events. Registration can be done by filling the form and making the payment of the registration charges. In case of higher courses, it may be necessary for the forms to be sent to the Acharyas for scanning and selection. 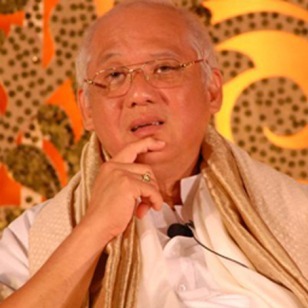 The GMCKS Arhatic Yoga Ashram was Grand Master Choa Kok Sui's Vision and Dream. 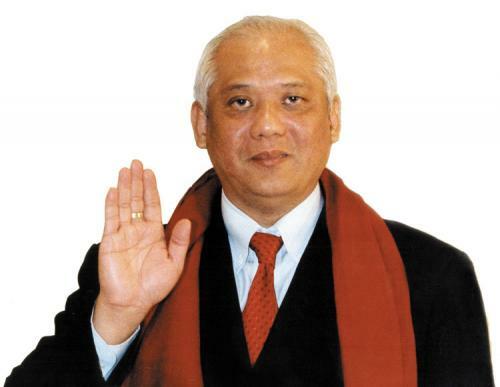 It holds and important part of his mission to spread the teachings of Pranic Healing and Arhatic Yoga. Master was dedicated to build a beautiful and comfortable Ashram where serious practioners of Arhatic Yoga from around the world could come and practice intensively.The GMCKS Arhatic Yogis can learn and grow spirituality.